When you visit Bryant Park, we want you to be as comfortable as possible. That's why we provide 4,000 movable chairs, restrooms, and host many free events and activities to keep you occupied. We want you to stick around! Another way we help you have a great visit is by making sure there is a delicious selection of food for purchase. Today, we are excited to release the names of our new kiosk operators in the park. You know a place stands behind its bread and pastries when it names itself Breads Bakery. Visitors to Winter Carnival will recognize the name Breads Bakery, from its booth at the Brew House. 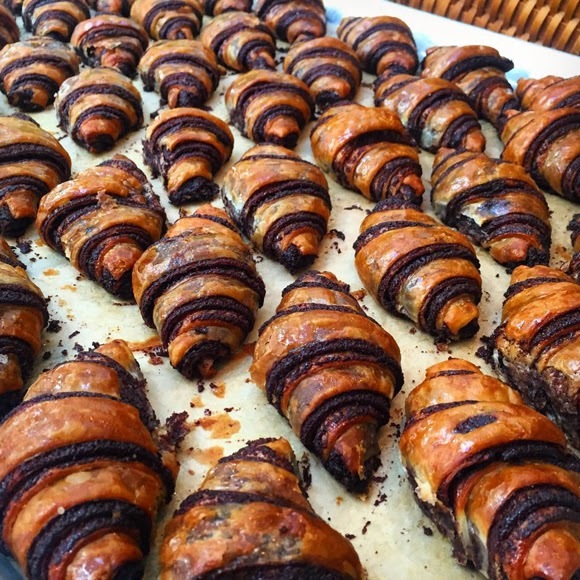 The kiosk, which will be located at the corner of 42nd Street and Sixth Avenue, will offer its renowned chocolate babka, as well as rugelach, fresh sandwiches, croissants, cheese straws, and coffee. Check out our coverage of Breads Bakery in the blog archive. 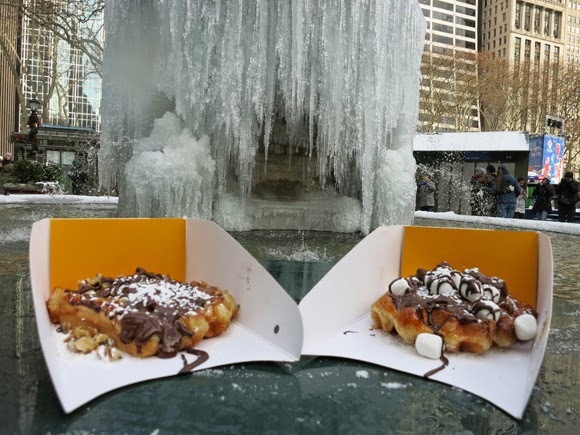 Wafels warmed us in the winter and will continue to delight us year-round. Wafels & Dinges, a regular at the Holiday Shops and a kiosk operator at Greeley Square (in our sister district, 34th Street Partnership), will now have a permanent home in the park. Visit their kiosk at the corner of 42nd Street and Sixth Avenue for their authentic Liege-style waffles, famous speculoos shake, hot Belgian cocoa, top-notch coffee and espresso, and Ceci-Cela croissants. Check out our coverage and reviews in the blog archives. LPQ brings its signature fresh fare outdoors. We are excited to announce that park neighbor, Le Pain Quotidien (70 West 40th Street, between Fifth and Sixth Avenues) will take residence in the park as well. 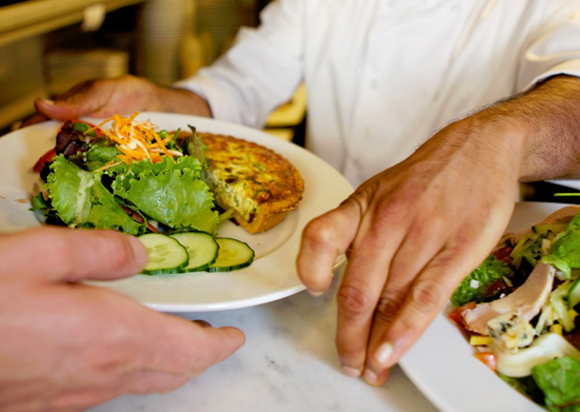 LPQ, is known for its simple, wholesome and sustainable food, made with organic and local ingredients whenever possible. Look out for organic coffee, handmade pastries, signature Belgian tartines and fresh salads. The LPQ kiosk will be located just north of the Fountain Terrace, on the Sixth Avenue side of the park. 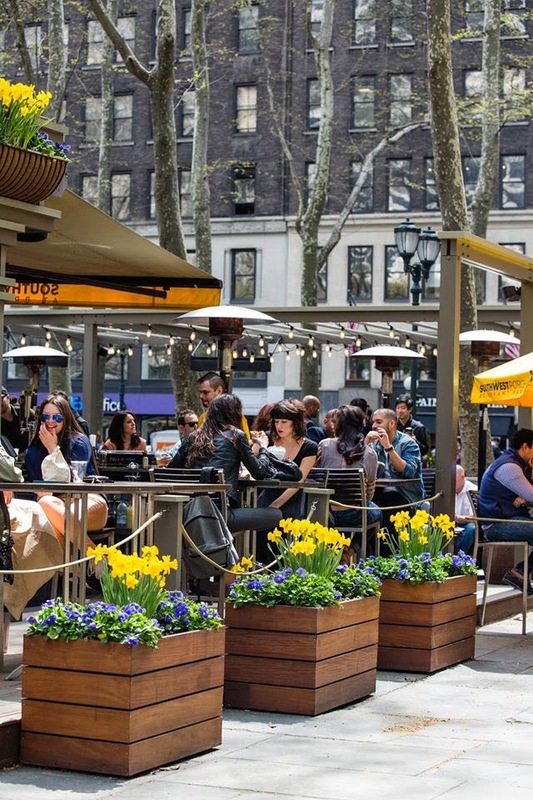 Southwest Porch, Midtown's favorite outdoor bar, will reopen under management by Ark Restaurants, whose portfolio includes the Bryant Park Grill. Happy hour al fresco will return; expect a selection of artisan spirits, craft beers, signature cocktails, and specialty burgers. We're not the only ones excited about our new vendors! The New York Times' Florence Fabricant and Eater have already picked up the story. Stay tuned for more exciting news about menus, opening dates, construction updates, and more.